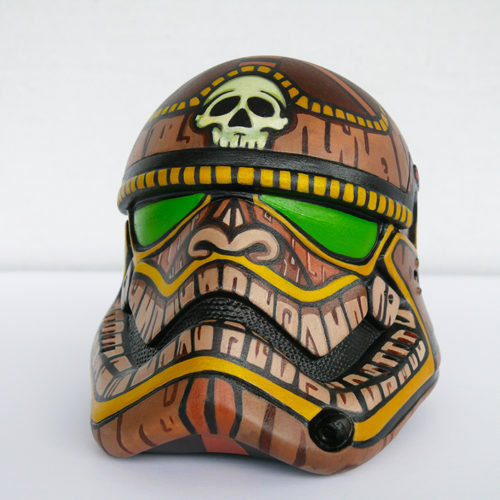 These customs Storm Trooper helmets are one-of-a-kind hand painted vinyl art toys. 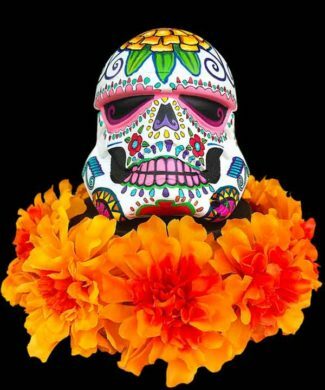 From Pirates to Tikis and Mexico to Hawaii these Troopers cross a multitude of characters and cultures. 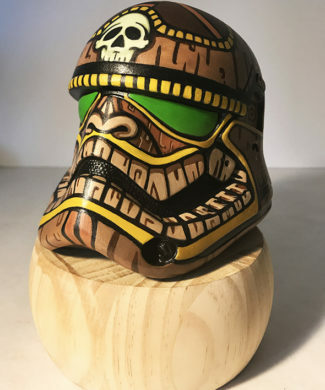 Each custom Storm Trooper helmet has a unique paint job as well as fabricated details that disguise them and almost make them unrecognizable to the dark side! 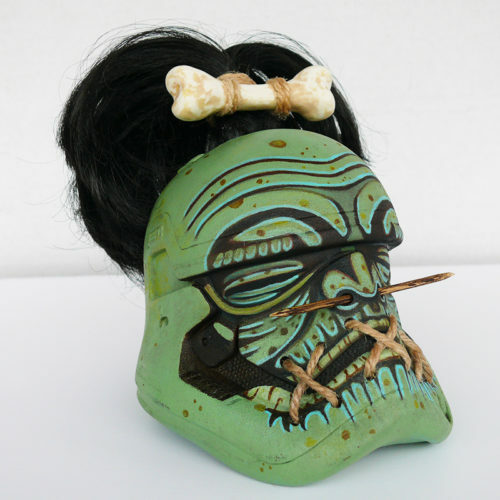 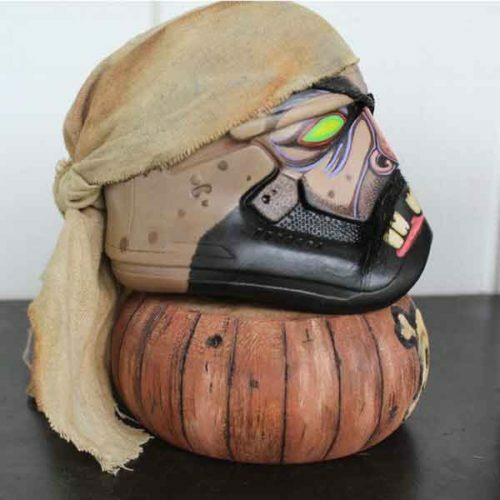 This “Sugar Skull Trooper” is a one-of-a-kind custom vinyl toy. 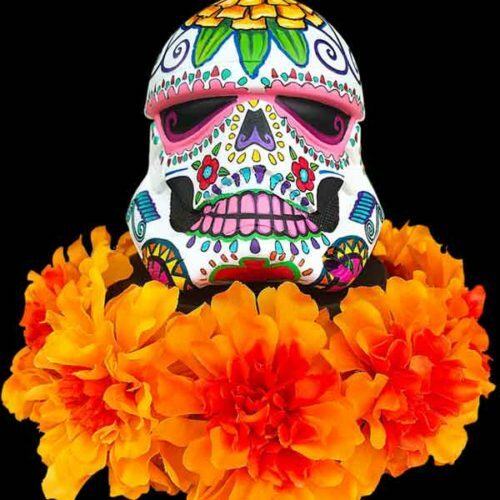 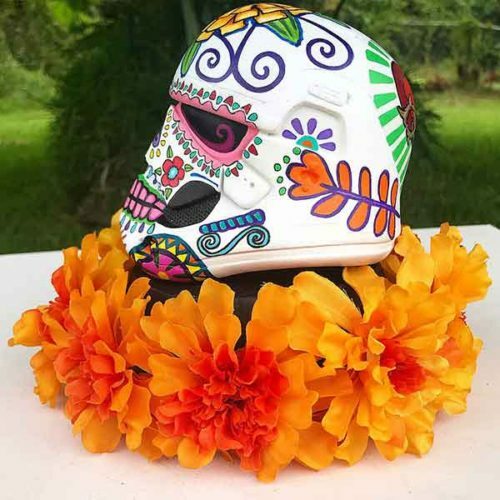 Made with acrylic paint, this Storm Trooper celebrates El Dia de los Muertos! 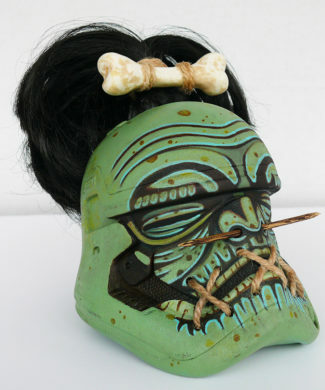 The helmet is embellished front, side, top, and back with popular details that represent this festive holiday. 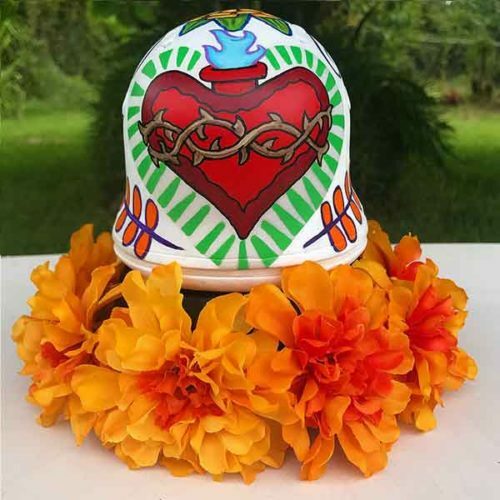 From marigolds to the sacred heart this Trooper is remembering all is fallen comrades. 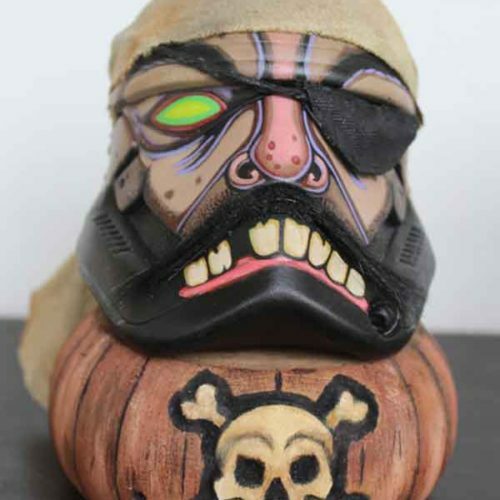 Hand painted this 3-dimensional art toy comes mounted to a wooden base and measures 6.5″x4″. 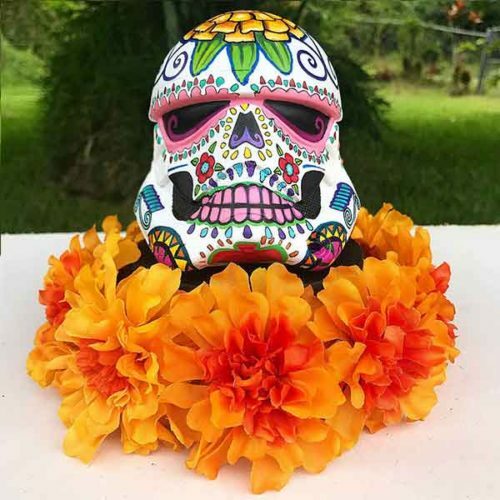 The base is adorned with the iconic flower known as the cempasuchile, or marigold which is meant to guide the spirits of the dead to their Ofrendas in the world of the living. 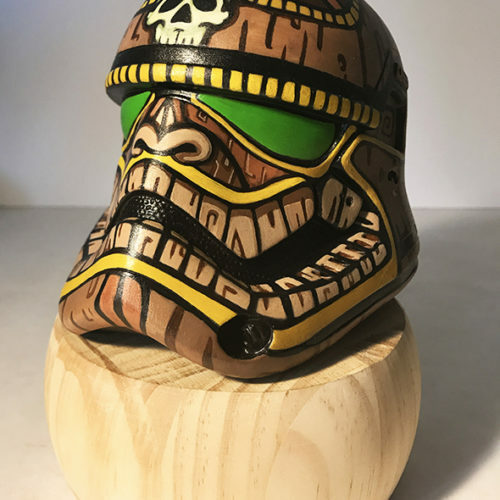 To place a custom order for a Storm Trooper Vinyl just send me an email at art@jacobmedina.com and let me know what you got in mind! 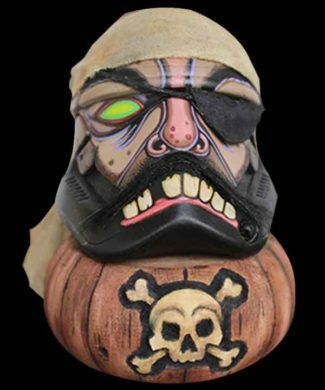 This Pirate Storm Trooper is a one-of-a-kind custom vinyl toy he comes with a hand sewn eye patch, home grown moustache, and a sea stained headscarf. 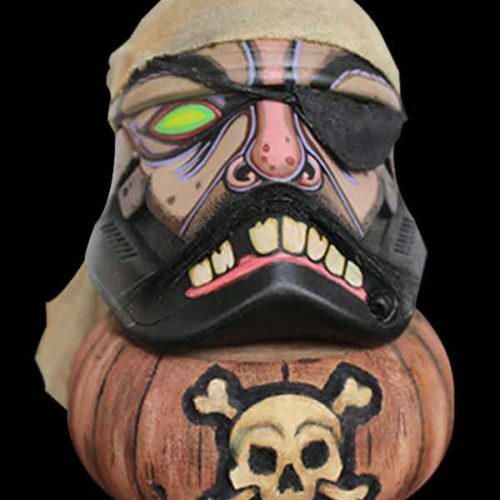 Painted with many layers of acrylic to look sun and sea worn this scallywag swashbuckling buccaneer comes mounted on a wooden base and measures 6.5″x4″. 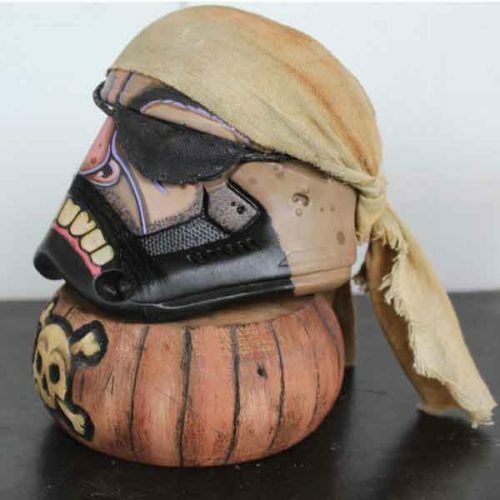 The base has a hand carved Jolly Roger and is painted to look like a rum barrel.